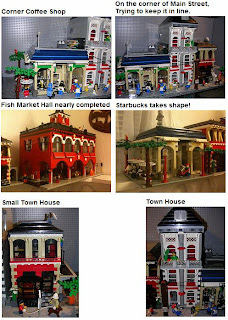 Brick Town Talk: American Harbour Diorama - LEGO Town, Architecture, Building Tips, Inspiration Ideas, and more! These buildings by iainy73 are based on New England and West Coast buildings. I have it good authority that Iain would welcome feedback. Personally I think the diorama will be amazing.